Jeffers, Oliver. 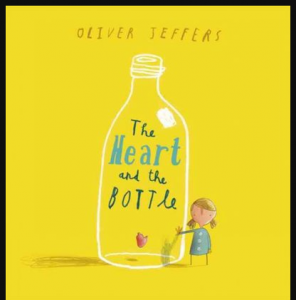 The Heart and the Bottle. London: HarperCollins Children’s, 2010. 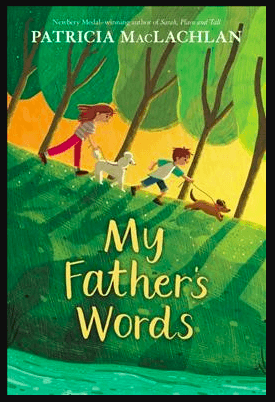 A poignant story in which a young girl puts her heart away so that it will be safe. The pictures reveal the loss of her father. The words tell how her struggle to live with joy again. A profound story by a master storyteller. Recommended for all ages. More stories of grief HERE.